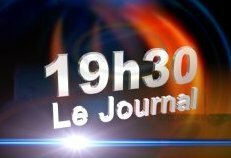 – There was a ‘défilé’ of ministers; Min Valayden is at the top of the hit parade (appeared at least 4 times in the very same bulletin – must have been very hectic for him yesterday dealing with all those cameramen and reporters!). Seebun came second with two appearances (can someone advise her to be a bit more sober in her dresscode like for instance Sonia Ghandi? She looks a bit too much like she has just popped in back form a Chowthari). – There was also a ‘défilé’ of pujas, prayers, and preaches. Grandiloquent words like ‘sacrifice de soi, cheminement de la vie, code du devoir, valuers familiales’ were poured into our ears accompanied by sad and grim images of utterly bored people attending those ceremonies. – Old people seem to be forever equated with free meals + official speeches + sega dancers. The cocktail did not seem to inject any more life in them… Anyone ever thought of asking them to actually do the speaking and the dancing themselves. Might have revived them. – Though the visual look and filming is much better than the MBC productions, there is definitely a big LACK in this show: there is no serious stuff going on! Viewers did not get any information on the Internet challenges (that’s what it was supposed to be all about, isn’t it?) and so, the whole process was completely obscure and the announcement of the results by Ben Javed totally artificial. At least in StarAc, the participants get to sing and be evaluated on their performance. Same goes for A la Recherche du nouveau machin-chouette (whose codes were copied by Circus). I was not expecting much from the show but this level of vacuum is particularly astounding. Was expecting more from the first reality show. It was supposed to be based on challenges on the internet..
tell us what the challenges were and at least talk to the participants about how they think to solve them.. their difficulties etc..!! i am not interested in their safari, trip to the seaside or what did they eat!! The Question to be asked? What can we do to move the omni potent,omniscience,omnicontout to change?I have given up watching le journal televise but yet has to keep an eye open; less I might miss out important events.We have to push MBC to improve by telling them our specific dissatisfaction and giving them areas where we as viewers would like to see improvements.Would appear that our national TV is at the service of the pouvoir point blank. Service to the nation is secondary mission.How can we tv viewers become proud of our national TV? Well, I heard that MBC had commissioned a survey on viewing of its programmes by the audience. But, the report was conveniently shelved. Clearly its director + president do not give a damn about whether people are actually watching and their levels of satisfaction with the programmes. They do not wish to work for the public, rather they are here to please those in power who have nominated them + what are perceived to be ‘powerful’ organisations which avail themselves of the term ‘socio-culturel’ but should rather be called ‘ethno-centric’ clubs. just like radio1, topfm and radio+ made an impact, maybe another independent tv channel will change everything!! 1. News can be classified as “How did our ministers spend their day”, there are other things relevant besides someone ki pe coupe ruban par ici par la!! 2. lack of interesting local programs!! programs like “les enfant d’abord”,”ki ti cuit”,”zenfant pays morice” are quite nice! We have a great health problem in mauritius.. related to diabete, hypertension etc.. government pe fer campagne pou sensibilise dimoune!! what better medium than television..
maybe on the show people could phone in and ask their questions!! You’re quite right. There are some interesting programmes that are primarily made by external agencies like Très Pied, Clap, etc. Occasionally, there are also 1 or 2 MBC-made programmes that are OK. But the news bulletin is a big SHAME. As I hinted earlier, I think it’s those at the top who must be blamed first. True also to say that there are many MBC staff who lack imagination and intelligence. And those who do have some intelligence & imagination either won’t dare propose interesting programmes or if they do, get short-circuited or discouraged very fast. Are you referring to the BBC’s HardTalk or the local TopFM radio version? The BBC one is really a compelling show (I used to admire Tim Sebastian but he’s no longer doing it); the TopFM one is OK though miles behind the BBC version. Indeed your right! Top level management is really the first one to be blameD!! BUT ARE THESE GUYS QUALIFIED??? I’m not necessarily sure that you need a foreigner to do the job, though there are some adavantages as a foreigner would be less prone to bow to the influence of local politics and imbecility. In fact, it’s the MBC Act which needs to be reviewed completely so that governing parties have little or no say in the running of the corporation + you need someone really intelligent, creative and credible + a reform in its whole human resource management. There is a problem somewhere in top management..
we come to hear that the CEB has been having losses since years and years now..
Yeah you’re quite right. People at the top of major public or parastatal institutions are all political nominees who feel that their nomination is a reward for their commitment to their party or leader. So, they do not feel personally accountable; some even feel like they got a birthday gift so it’s their own little toy for their selfish pleasure, whence all the lavish expenses on cars, trips abroad and claiming of commissions for allocation of contracts! politics…i prefer to stay out of this since the whole system is politically incorrect ! as for the gift matter…lol, check my blog…. Reminds me of a situation! I am intitled for the promotion because of my past performances.Does having been an excellent accounts debtors clerk for 10 years with the company justify your promotion to become the accountant of the company? But sir,I am the most senior of the lot? Generally promotion to higher level jobs are based on past performance on lower level job.Judgement on the potential of performing the required task albeit based on past performance would be the determining factor used to any appointment.It is a trust and faith in the future surely not a reward. We are still in the mentality of “Tenure” rather than “Performance”! When would the change occur? Have you ever heard about a funny book called ‘The Peter Principle’ written by Laurence J. Peter? The principle states that every employee in a hierarchy will tend to rise to his level of incompetence! In other words, each worker gets promoted up to a point where he is completely incompetent, which implies that, at some point in time, all people who have been promoted to a higher post are incompetent for that post and also all organisations are most probably headed by incompetent people. Although it tends to be a bit caricatural, one can’t deny the principle has some streak of truth… specially in the local public and parastatal sector and in parts of our private sector too, mind you!